A forgery 50 years ago; a deed executed under duress; bigamy that went unknown; an error by a clerk in the county recorder’s office; a misapplied tax payment; these are but a few of the hidden “title defects” that could cause you to lose your property. And, even if you do not lose your property altogether, title problems could make it impossible for you to sell or even give it away. Title Insurance exists to reimburse you for loss suffered due to defects that existed prior to the issue date of your policy, up to the amount of the policy. 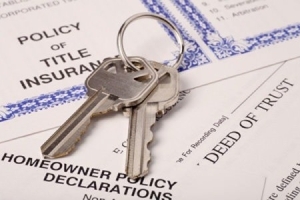 Unless specifically excluded, your title insurance policy also provides for legal defense costs. A title insurance policy from Tier 1 Title is your best protection against potential defects (See below) which could remain hidden despite the most thorough search of public records. Deed from a legal nonentity (styled, for example, as a church, charity or club). Deed challenged as being given under fraud, undue influence or duress. Deed following non-judicial foreclosure, where required procedure was not followed. Deed affecting land in judicial proceedings (bankruptcy, receivership, probate, conservatorship, dissolution of marriage), unauthorized by court. Deed following judicial proceedings, subject to appeal or further court order. Deed following judicial proceedings, where all necessary parties were not joined. Lack of jurisdiction over persons or property in judicial proceedings. Deed signed by mistake (grantor did not know what was signed). Deed executed under falsified power of attorney. Deed executed under expired power of attorney (death, disability or insanity of principal). Deed apparently valid, but actually delivered after death of grantor or grantee, or without consent of grantor. Deed affecting property purported to be separate property of grantor, which is in fact community or jointly owned property. Undisclosed divorce of one who conveys as sole heir of a deceased former spouse. Deed affecting property of deceased person, not joining all heirs. Deed following administration of estate of missing person, who later reappears. Conveyance by heir or survivor of a joint estate, who murdered the decedent. Conveyances and proceedings affecting rights of service member protected by the Soldiers and sailors Civil Relief Act. Conveyance void as in violation of public policy (payment of gambling debt, payment for contract to commit murder, or conveyance made in restraint of trade). Deed to land including “wetlands” subject to public trust (vesting title in government to protect public interest in navigation, commerce, fishing and recreation). Ineffective release of prior satisfied mortgage due to acquisition of note by bona fide purchaser (without notice of satisfaction). Ineffective release of prior satisfied mortgage due to bankruptcy of creditor prior to recording of release (avoiding powers of bankruptcy). Ineffective release of prior mortgage or lien, as fraudulently obtained by predecessor in title. Disputed release of prior mortgage or lien, as given under mistake or misunderstanding. Deed recorded, but not properly indexed so as to be locatable in the land records. Undisclosed but recorded federal or state tax lien. Undisclosed but recorded judgment or spousal/child support lien. Undisclosed but recorded prior mortgage. Undisclosed but recorded notice of pending lawsuit affecting land. Undisclosed but recorded option, or right of first refusal, to purchase property. You do not want a problem that occurred long before you bought your property to deprive you of ownership or your right to use or dispose of it. You do not want to pay the potentially ruinous cost of defending your property rights in court. How long before we can close on our home purchase? The time it takes to get to a closing of a real estate transaction is largely determined by the contract between the parties and the time needed to get lender approval if a mortgage is involved. In a typical residential transaction, most contingencies (other than financing and sale of the Purchaser’s residence) can be removed within two weeks. Financing should be resolved within 30-45 days. Don’t let your eyes glaze over when people start throwing around the word “escrow” – look them straight in the eye and ask precisely what type of escrow they are referring to. Why do I record my deed? Deeds are recorded to provide notice to the world that you own your property. Recording a deed at the Clerk of Court imparts “constructive notice” to the world that you own your property-everyone in the world is deemed by law to know of your interest. If you fail to record your Deed, only these people who have actual notice of your interest are aware of your interest.